Welcome to the Hcap Web site. HCAP is moving over to the new World Handicap system. The club and Slope ratings need to be recreated by members. OLD scores need to be re-entered into the new member profile. Please use your old Member no. and password to login. After log in you must enter your scores into the new system. After 5 scores you will get a HANDICAP INDEX that will be used to determine your COURSE HANDICAP. The Clubs interface will be active in a few weeks, at the moment the golfers will be able to enter scores and a handicap index will be created. To view your COURSE HANDICAP click on the course handicap link in the new member profile. HCAP World Handicap Member Registration..
HCAP World Handicap Club Registration..
HCAP World Handicap Member Login..
HCAP World Handicap Club Login.. If you play golf, then this site is definitely for you. Leave the handicap calculations to us. We calculate your handicap, using the formulas recognized by most golfing authorities, and updated on the 1st and of every month. There must be a minimum of 5 scores before you can get a handicap.We even show you what your projected handicap is, so you have total control over your game. You can now focus on your game, and not your handicap. Register now as a member for FREE. That's right no registration or membership fees for members. New in the members area. There is a graph of your latest scores. We have also added a space for you to upload a picture from your computer to your members page. When uploading a second picture the previous one will be deleted automatically. You do not have to be an affiliated Club to register as a Club. If you are a team or group of players you can register as a Club. We are always interested in improving our handicap service. Please let us know if you have any comments or support. The best golfers are those who not only exude skill and ability but also the patience to take each round one hole at a time. An example would be the legendary Ben Hogan. 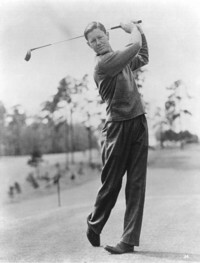 Hogan, 16 months removed from a horrific auto accident that ravaged his body, was on the verge of winning the 1950 U.S. Open. He led by three strokes with seven holes to play. 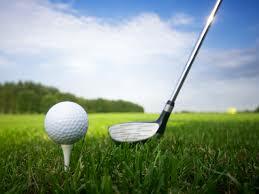 However, his still-damaged legs throbbed in pain, and after his tee shot at the 12th hole, he nearly fell. Greatness begot greatness, as players like Gary Player, Arnold Palmer, andJack Nicklaus came onto the scene in the 1960s and '70s. 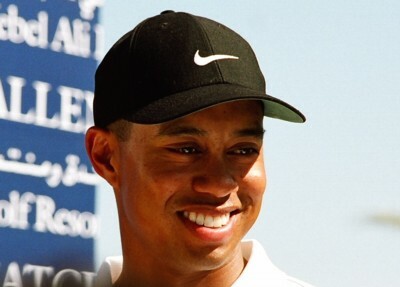 Those players laid the foundation for the current generation, most notably Tiger Woods. of winning three professional majors in one season. Welcome to the gentleman's game of golf, where the breeze often carries a distant murmur of swear words, and expensive clubs suffer routine abuse. Since its inception sometime in the Middle Ages, golf has inspired obsession. 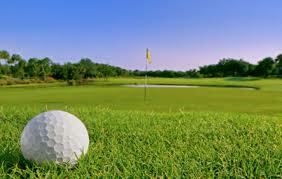 Some players are lured by the refined aura of the sport, the sweeping links and velvety greens. Others are obsessed with golfing gear -- the latest drivers, spiked shoes and fancy putters. Still others simply enjoy driving around in the golf cart. There's no denying that golf sings a siren's song. Too often, however, that song is soured by a wicked slice or a ball that plummets to its final resting place at the bottom of a water trap. "They call it golf because all the other four-letter words were taken," said championship golfer and course designer Ray Floyd. Before you throw down your clubs in frustration or unleash a string of profanity that would make your mother blush, we offer 10 tips, from the most basic fundamentals to the golden rule of golf, that will help you save your sanity and improve your swing. Any ham-fisted gorilla can grab a club and start whacking away at the ball. However, if your goal is to improve your swing, the first step is to pay attention to the way you hold your club. Stand up, let your arms hang loosely at your sides and look at your hands. Notice how they are angled naturally -- you can easily see the knuckle on your index finger and part of the knuckle on your middle finger. By duplicating this "neutral hand position" when you grip your club, you'll more consistently and naturally square the clubface when you swing, increasing your chances of impacting the ball where you should, at the center of the club head. Gently bring your top or lead hand (left for right-handers, right for left-handers) to the club and hold it lightly in place with your thumb pointing down. You should still be able to easily see the knuckles of your index and middle fingers. The "V" between your thumb and index finger should be pointing toward your rear shoulder -- not your chin. Now, place your bottom or trailing hand below your top hand, taking care to maintain its neutral position. Oops! 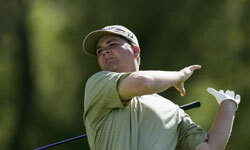 Golfer Hunter Haas loses grip on his club at the New Zealand PGA Championship. Vardon grip: Probably the most popular and common golf grip, the Vardon or "overlapping" grip is achieved by fitting the pinkie finger of the trailing hand between the index and middle finger of the lead hand. Interlocking grip: The next most common grip works better for people with less powerful forearms, weak wrists or smaller hands. With this grip, the hands are literally locked together by curling the pinkie finger of the trailing hand around the index finger of the lead hand. The downside of this grip is that, with less finger pressure controlling the club, the handle can sometimes drift against the palms. Ten finger (baseball) grip: Beginners, players with joint pain and those with small hands sometimes find the ten finger grip the most comfortable. To achieve it, simply lock the pinkie finger of the trailing hand close against the index finger of the lead hand. © Copyright 2005 - 2019- by Hcap.co.za All Rights Reserved - Best viewed with screen resolution of 800 by 600 .